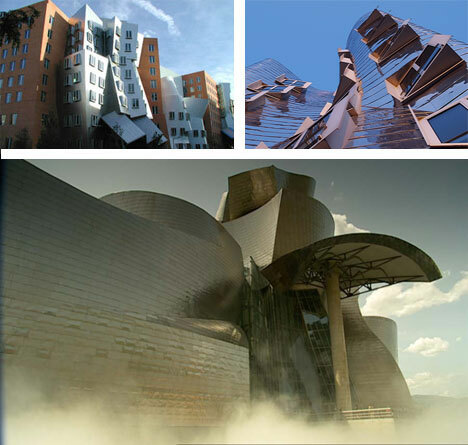 What happened to Frank Gehry? Some call it a midlife crises, others chalk it up to a moment of revelation. Whatever occurred, this rather conventional middle-aged architect changed virtually overnight into an avante garde designer and created what is arguably the most influential residence of the 20th Century. Deconstructivism now pervades the field of architecture and has influenced virtually every contemporary all-star architect in the world. 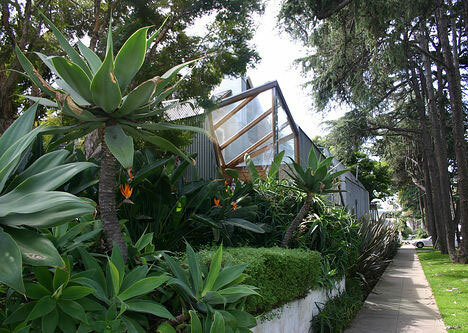 Gehry is perhaps best known for his curvy, metalic wave-form museums in Bilbao, Seattle, Los Angeles and Minneapolis, but it all started with strange impulses applied to his own traditional little Santa Monica house in the late 1970s. 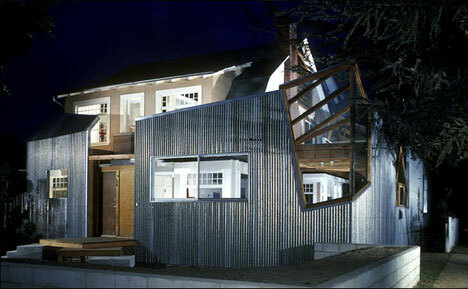 Frank Gehry’s house in Santa Monica came before its time as a harbinger of the Deconstructivist movement. The first recognizedpublic Deconconstructivist architectural project came almost a decade later. 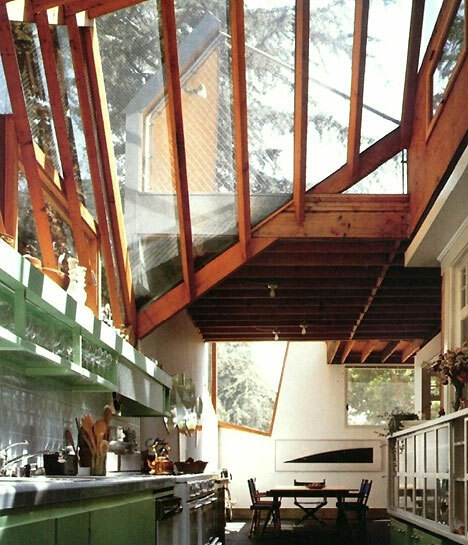 Gehry took his seemingly ordinary house in Santa Monica and began changing things incredibly strange ways. He took a step beyond the playful reworkings of Postmodern architecture, where traditional design symbols were reinterpreted, and instead starting using materials and strategies few applied to architectural projects. 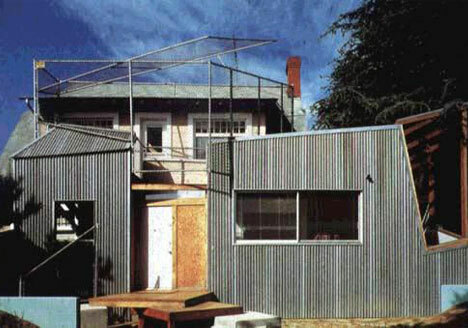 Gehry started by tearing the drywall off of interior walls to expose structural studs buried in the old house, then subtracted and added architectural elements seemingly without a coherent plan throughout the building. 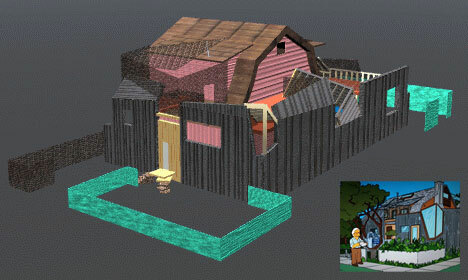 He added chain link and plywood to the exterior. His iterative transformations were responses to various impulses and were allowed to coexist without a clear rhyme or reason, flying in the face of both Modernism and Postmodernism – designs from which were typically justified in terms of some kind of central concept. Since this small house came into being, the idea of deconstructing traditional elements and reassembling them according to obscure and abstract comments has become the norm in the industry, particularly for major public buildings. Gehry’s subsequent work (shown above) took this to new levels each time. World architects like Daniel Libeskind, Rem Koolhaas, Peter Eisenman, Zaha Hadid, Coop Himmelblau, and Bernard Tschumi have all created critical works in the subsequent decades that have been influenced by Gehry’s little house. There is considerable controversy surrounding his work and the current state of Deconstructivism, though the influence of Gehry’s approach to design is unquestionably felt throughout the practice of global architecture today.